Generation 3 (Traditional) Traditionally, Generation 3 is hacked using tools, hex editors and patches. This is for you if you do that. What are you even talking about? 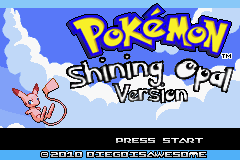 Game Freak Presents? 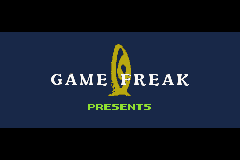 In V1.0 of FireRed and LeafGreen, there's supposed to be text that appears during the Game Freak introduction that says "PRESENTS", making it say, in all, "GAME FREAK PRESENTS". However, the developers forgot a section of code that loads the text to the screen, though it's present in the OAM tilespace. This was rectified in V1.1. Write down the offset you assemble this to. Now, at 0xECE1C in the hex editor, write 00480047XXXXXX080000, replacing XXXXXX with the reversed offset+1 to the routine you inserted earlier. That's it! That's really all there is to it. Now you can actually present the game to your fans! Last edited by Alice; 2nd March 2018 at 10:36 PM.